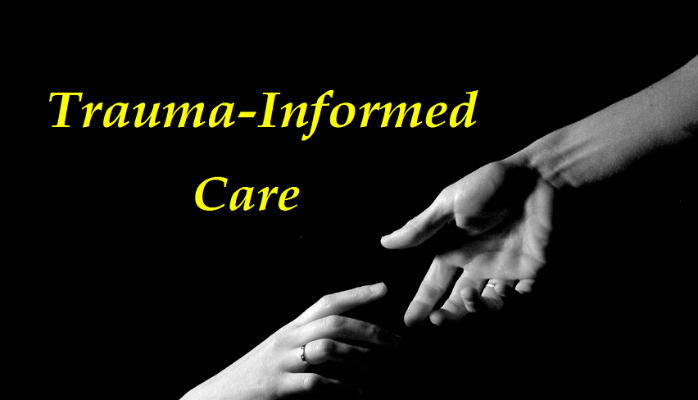 There is a growing trend in education, mental health, social services, and health care: becoming trauma-informed. For those in ministry, “trauma informed” can be a confusing phrase, bringing up images we might not naturally associate with the church and its mission and ministry. Trauma results from something that occurs in a person’s life that is experienced as physically or emotionally harmful or life threatening. An event, circumstance or series of events that are traumatic leaves lasting effects on the individual’s functioning and mental, physical, social, emotional, or spiritual well-being. It is as much about the person’s internal processing of a stressful and difficult situation as it is about the circumstance that results in the trauma. What might traumatize one individual deeply might not as dramatically affect another. Most ministries seek to comfort those who are in distress, help those less fortunate, and desire to alleviate suffering where they can. But, in doing so, perhaps they have not even considered those quietly suffering in their churches and communities due to the present difficulties resulting from past traumatic experiences? How might the church minister more effectively to these individuals? The answer is to become trauma-informed. So, what is “trauma-informed ministry,” and does it have a place in your church and community? A trauma-informed approach can be implemented in any type of service setting or organization, including churches and para-church ministries, and is distinct from trauma-specific interventions or treatments that are designed specifically to address the consequences of trauma and to facilitate healing, like Intermountain! From SAMHSA’s perspective, it is critical to promote the linkage to recovery and resilience for those individuals and families impacted by trauma. This makes sense, doesn’t it? It is one thing to recognize when someone in your church or ministry setting has deep woundedness. It is something entirely different to equip yourself and your ministry team to be able to bring healing and hope to that individual or family system. Realizes the widespread impact of trauma–those deeply distressing and emotional experiences that leave lasting effects–and provides practical ministry interventions as well as support for ongoing mental health interventions. Recognizes the signs and symptoms of trauma in the children, youth, men and women it ministers to as well as the effects that living with a traumatized individual has on all relationships–marriage, family, work, and social. Seeks to actively resist re-traumatization that can occur when appropriate recognition and intervention is not wed with a compassion and commitment to relationship and supportive structures that destigmatize mental health issues. Safety: Not just physical safety, but emotional and relational safety as well. Is there structure in place that allows for vulnerable people to feel included and protected within the worshipping community? Trustworthiness and Transparency: Is authenticity a characteristic valued highly within your community of faith? Do those in ministry leadership appear as broken people in need of God’s grace, just as those they minister to? Are confidences kept? Peer support: Does the church go beyond being friendly to being a place someone can make friendships? Can a traumatized person find a listening ear and a welcome with others that are walking the same road to recovery, grace, and love of self and others? Can this happen both in large group and small group settings? Are ministry leaders modeling self-care through their personal practices? Collaboration and mutuality: Does the church view its ministry to victimized people, traumatized individuals, and vulnerable children as integral to its call to Kingdom work for God or is it simply a niche ministry? Can the church work with others, even across ideological and denominational lines, for the betterment of hurting people? Empowerment, voice and choice: Are those that are ministered to also given opportunity and empowered to minister within the church, understanding that they bring value and wisdom to the worshipping community? Are they fully integrated into the life of the church and given a voice for self advocacy as well as outreach and mission? Cultural, Historical, and Gender Issues: Does the church recognize the unique cultural issues sometimes bound up with trauma? Within the context of what has defined your worshipping community, is there room for the expression of faith and practice in ways that honor the unique cultural, historical, and gender backgrounds of those you seek to serve? As you can see, I have purposefully borrowed the structure and language of SAMHSA’s definitions and guidelines so that a church hoping to become “trauma-informed” can speak the same language as those in the educational, mental health, medical or other fields also working to be trauma-informed. Purposefully seek out those within your church who can connect you to resources and expertise outside the church. As you build those bridges to those outside the church, you will help your ministry strengthen and grow!